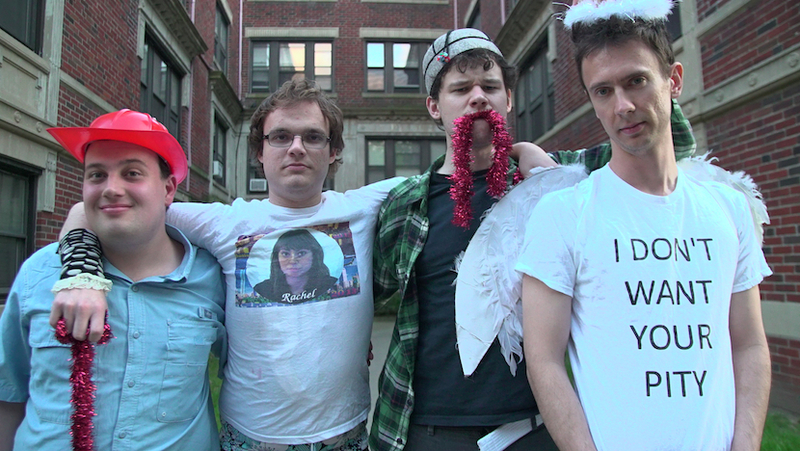 Asperger’s Are Us is a documentary of the comedy troupe of same name as they prepare for a performance. 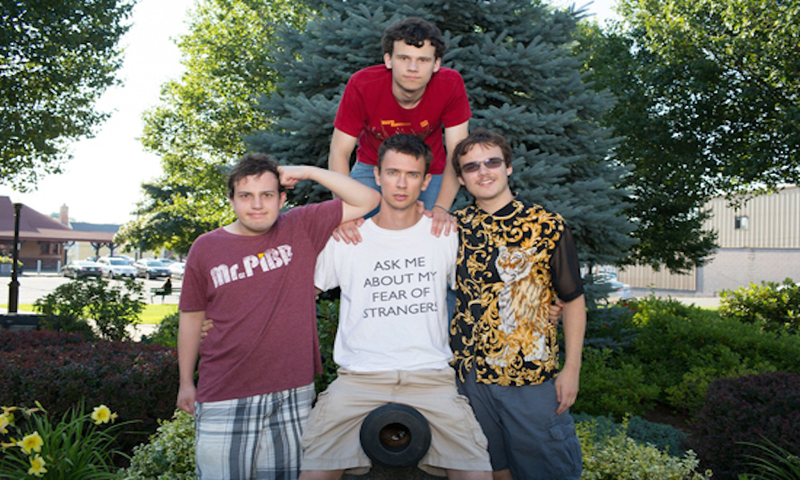 Noah Britton, New Michael Ingemi, Jack Hanke, and Ethan Finlan founded Asperger’s Are Us in 2011. The film is quite insightful without being clinical in regards to life with Asperger’s Syndrome. 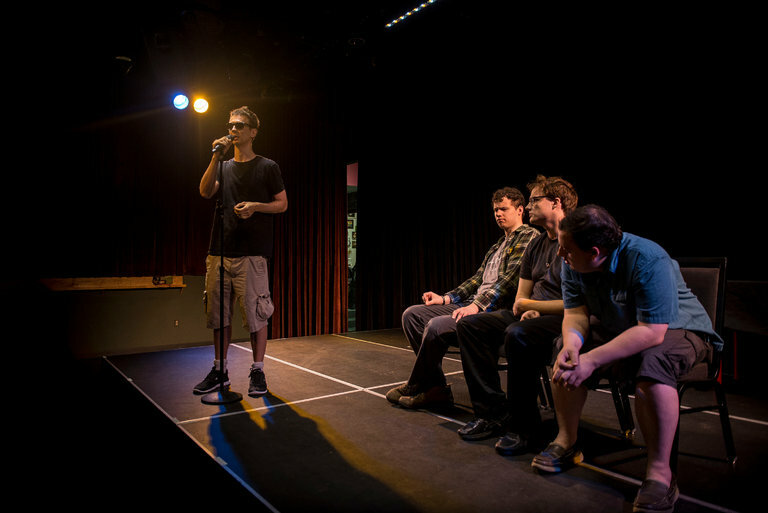 The viewers’ eyes are open to the challenges of producing a comedy show comprised of people with Asperger’s as well as relationships with family and friends. From finding rehearsal space to expressions of love and respect, interviews with the members, their parents, and friends paint the picture of life with this form of autism. Working in a group is perplexing enough on its own, but imagine if each member struggles with different kinds of hypersensitivity as well as hiccups in the production process. Noah, New Michael, Jack, and Ethan honestly convey this journey in Asperger’s Are Us. Asperger’s Are Us’ style of humor is kind of hit and miss (at least for me), but the film does have some good haha moments, i.e. Ethan at the Rockport gazebo showing his creative “outlet” and the “Presidential Press Conference” skit. I applaud them for performing regardless of if the audience catches on. Their determination to put on a show their way is admirable. As shared by Noah, “the goal is to be funny for our own entertainment.” Basically, every show is therefore a success. I enjoyed Asperger’s Are Us because I appreciate learning about people and their way of life. The film is a good length and the cinematography is clean for the most part. The opening sequence was cleverly comprised of mini intros of each member and a multi-media collage. The title could have used a little more distinction though. Countdown to the performance was also well bookmarked with titles. One very important bit of wisdom, shared by Noah, which I will close this review with is: “When I meet one person with Asperger’s, I’ve met one person with Asperger’s.” In other words, one size does not fit all. This truth is fitting for any kind of label that society tries to put on people whether its race, gender, political affiliation, culture, occupation, etc. This entry was posted on Wednesday, December 7th, 2016 at 11:42 am	and is filed under Film, News. You can follow any responses to this entry through the RSS 2.0 feed. You can skip to the end and leave a response. Pinging is currently not allowed. « Mario Van Peebles Behind New Series ‘Superstition’ For Syfy!! !